Emma joined Whitelaw Twining at the beginning of 2017. 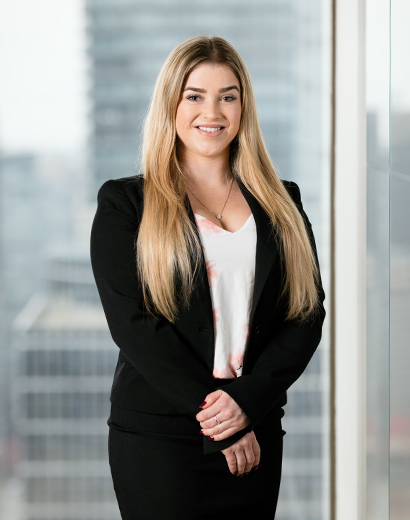 Prior to moving to Vancouver, she attained her Bachelor of Laws in Australia and has experience in leasing agreements and commercial practice. She is now an important member of WT Injury providing support and assistance to our team and clients, and is eager to expand her knowledge in the area of personal injury. Emma is a hardworking individual who strives to go above and beyond to ensure a smooth litigation process for our clients. Her responsibilities include overseeing document production, drafting pleadings, liaising with opposing counsel, experts and adjusters, and providing support to our clients through what can be a very stressful time in their lives. Outside of work, Emma enjoys staying active by weightlifting, playing soccer, and hiking. She is also an avid world traveller and foodie.